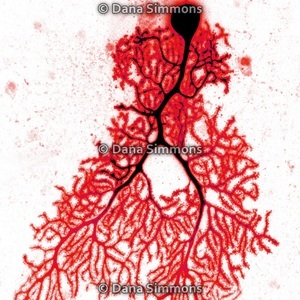 One day, while looking at a brain slice through the microscope, Dana observed something unexpected - she saw some of the most beautiful cells in the brain. 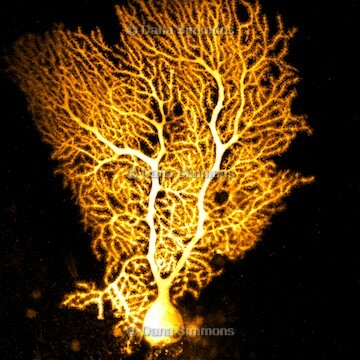 Dana studies Purkinje cells, a type of neuron that resides in the back of the brain in an area called the cerebellum. 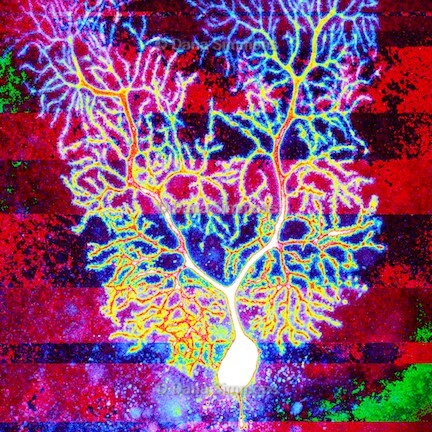 While observing these neurons, she realized that they bear a striking structural similarity to trees. 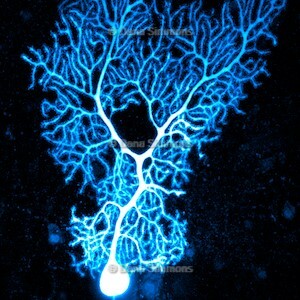 In fact, this "Purkinje Pattern" - larger branches subdividing into smaller branches - is present all throughout nature on both microscopic and macroscopic scales. 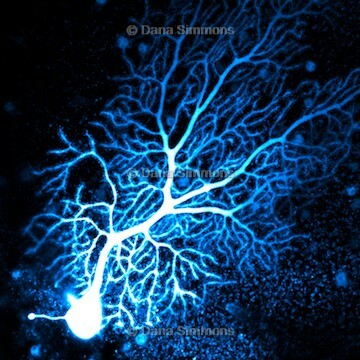 These neurons are about 100 microns (0.1 millimeters) tall, but a similarly shaped tree could be 50 meters (~150 ft) tall. 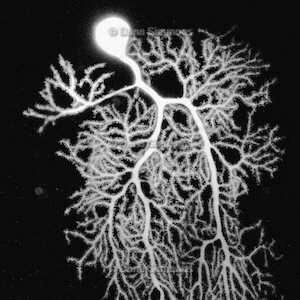 The characteristic structure of these neurons always draws Dana in, and she often ponders why this shape has developed so many times in nature. 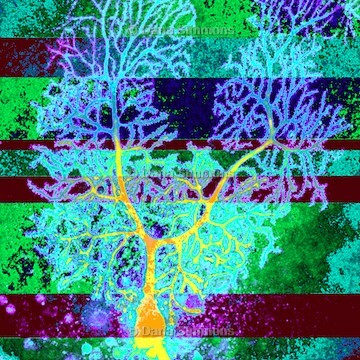 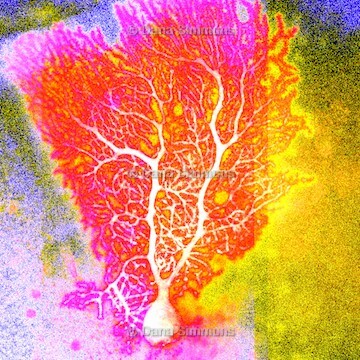 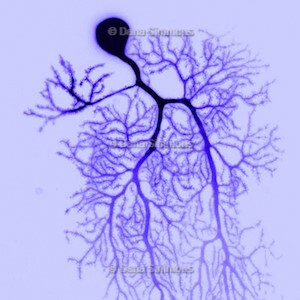 You can find examples of the Purkinje Pattern not only in tree branches, but also in roots, coral, antlers, lightning, capillary networks, river tributaries, phone tree networks, veins in a leaf, social media networks, and even your own consciousness as you make decisions. 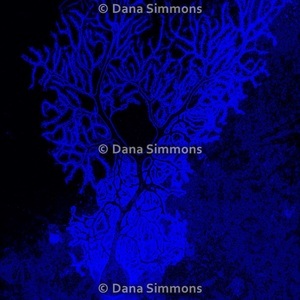 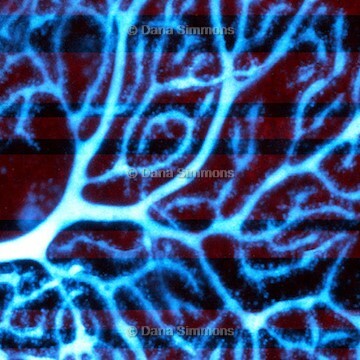 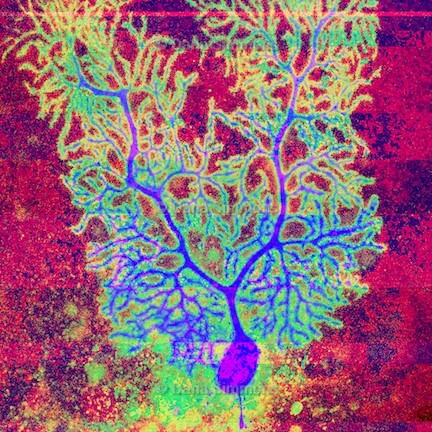 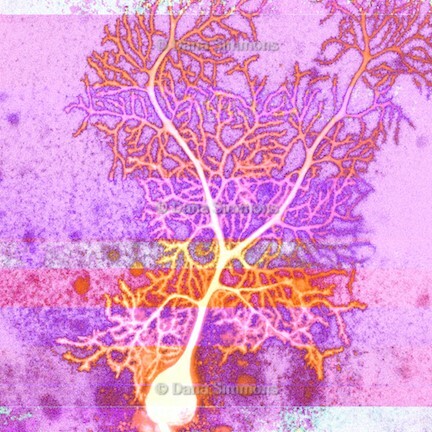 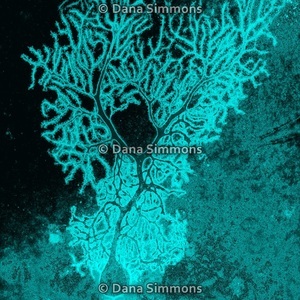 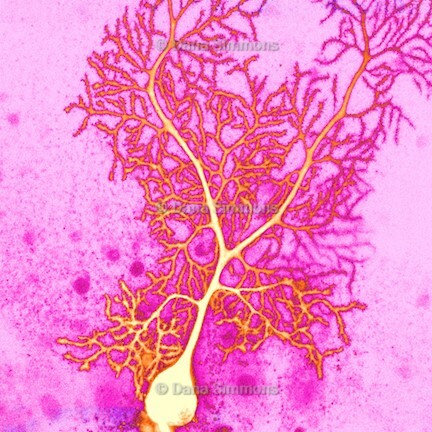 Below, you will see real images from Dana’s lab work, which show Purkinje neurons in all their branched glory. 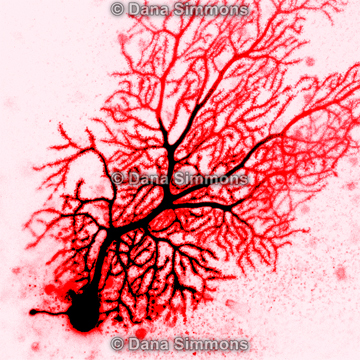 Contact Dana at dana.neuroscience@gmail.com for custom SciArt prints, collaborations, speaking opportunities, interviews, and image licensing.